Why Should You Use Instagram Ads? | ARI Network Services, Inc. Why Instagram Ads? According to Facebook COO Sheryl Sandberg, 1 in 5 minutes spent on mobile devices is spent on either Instagram or Facebook. With the huge popularity of these two social networks, there’s a good chance your customers are using them to connect with others. You may have considered advertising on Facebook, but what about Instagram? The platform has made huge strides with its advertising capabilities in the past year, including integrating with Facebook’s ad manager, allowing users to integrate their ads with Facebook’s database of demographic information. So, why advertise on Instagram? And how does it work? We’ve got tips for you ahead. Keep reading! As of September 2015, Instagram had 400 million users, and that number continues to grow. According to the Pew Research Center, 24% of the entire adult population uses Instagram. Using Facebook’s in-depth targeting data, you can be sure to engage the users who are most likely to be interested in what you’re offering. Instagram’s integration with Facebook’s advertising platform makes running an ad campaign a user-friendly experience. You can purchase and manage Instagram ads through Facebook Ads Manager which will walk you through the process step-by-step, including setting up your targeting and creating your ad. 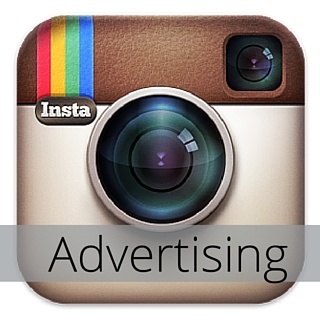 To run an ad on Instagram, you’ll need a Facebook page, but an Instagram account isn’t required. Since everything is managed through Facebook, you’re able to set your ad to show on both Facebook and Instagram to reach double the relevant audience. When you’re creating an Instagram ad campaign, make sure your ads are eye-catching. Instagram is a photo sharing social network, so a well-designed ad is a must. Use a nice stock photo you can relate back to your business – maybe someone mowing their lawn on a sunny day or people enjoying their motorcycles, boats or RVs – and caption it with information about what you’re advertising, be it a sale or an in-store event. Facebook recommends an image size of 1080 x 1080 pixels. You’ll also want to make sure to optimize your landing page for mobile viewing. Most of the Instagram users who will click on your ad will do so from a mobile device, so make sure they can easily navigate your website when they click through! If a user clicks on your ad and is taken to a site that isn’t mobile responsive or with a poor mobile format, chances are they’ll get frustrated and leave before they even see what you have to offer. Send them immediately to a point of purchase or contact form from your ad to capture the conversion. Advertising on Instagram can help you reach your customers where they’re spending the most time – on their mobile devices.